A 20-year-old man has confessed to murdering four men, who were missing for days, before burning and burying their bodies at his family's farm. 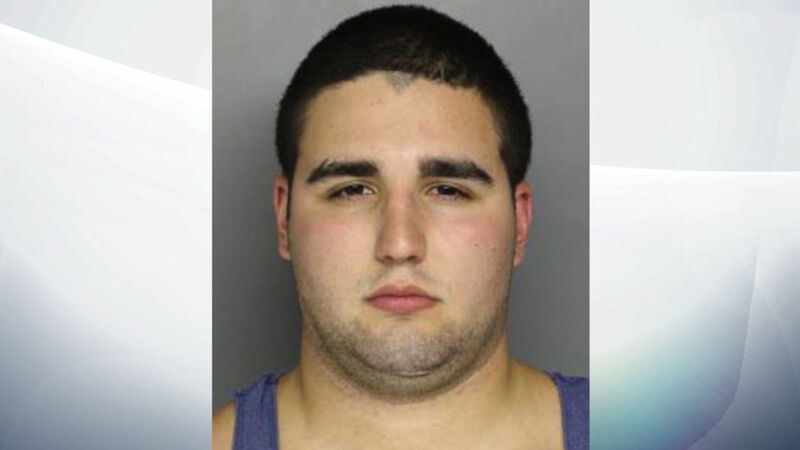 The men are believed to have been killed by Cosmo DiNardo, a schizophrenic from Pennsylvania, in relation to drug deals. DiNardo revealed where he had concealed their bodies on the 90-acre farm, about 30 miles north of Philadelphia, in exchange for avoiding the death penalty. He is reported to have burned three of his victims in a drum. Asked what he wanted to say to the families of the men as he was escorted from court on Thursday, a handcuffed DiNardo said: "I'm sorry." Police dogs found the body of 19-year-old Dean Finocchiaro on Wednesday, in a 12-foot (3.7 metre) deep grave along with other human remains that have yet to be identified. FBI officers were seen continuing to search the farm on Thursday evening. Mr Finocchiaro had been missing together with Mark Sturgis, 22, and Thomas Meo, 21, since 7 July. First-year university student Jimi Patrick, 19, has been missing since 5 July. DiNardo was arrested on 10 July at his home for owning a gun he was not allowed to possess because of his previous involuntary committal to a mental health facility. He was released after his father paid a bond but then rearrested on 12 July accused of stealing and trying to sell a car, found on the farm, belonging to Mr Meo. DiNardo had been a person of interest over the disappearance of the four men throughout the case, with officials believing they had bought some time for their probe by charging him with the car theft. The Nissan Maxima contained Mr Meo's insulin kit for diabetes. DiNardo's lawyer said on Thursday: "He confessed to his participation or commission in the murders of the four young men. "In exchange for that confession, Mr DiNardo was promised by the district attorney that he will spare his life by not invoking the death penalty." Officials said there were signs some or all of the men knew one another and were working to discover their links. A person who knew the detail of DiNardo's confession claimed he had killed after feeling cheated or threatened during three drug deals. They also told the Associated Press a co-conspirator was involved in the deaths.